History took a long time to establish its finest buildings, works of art and splendid views so it would be a shame to rush the experience of viewing them. Cycling along the city streets and canals of Amsterdam is the perfect way to leisurely explore this magnificent city and see not only its most famous landmarks, but also the hidden places of interest that mainstream tours do not take you to. Imagine turning the corner of a quiet lane and seeing the Rijksmuseum standing in front of you in all its glory, or peddling along a canal bank only to find yourself outside of Anne Frank’s house. At night, cycling is the ideal way to explore the restaurant and red-light districts at your leisure, or maybe leaning your bike against a lamp-post while you enjoy a moonlit picnic at the edge of a canal is more your idea of holiday heaven. Many streets are closed to cars so you can pedal away to your hearts content, while the canals lap gently at your heels. But take care not to venture too close to the water – every year around 15000 bicycles are fished out of the water. 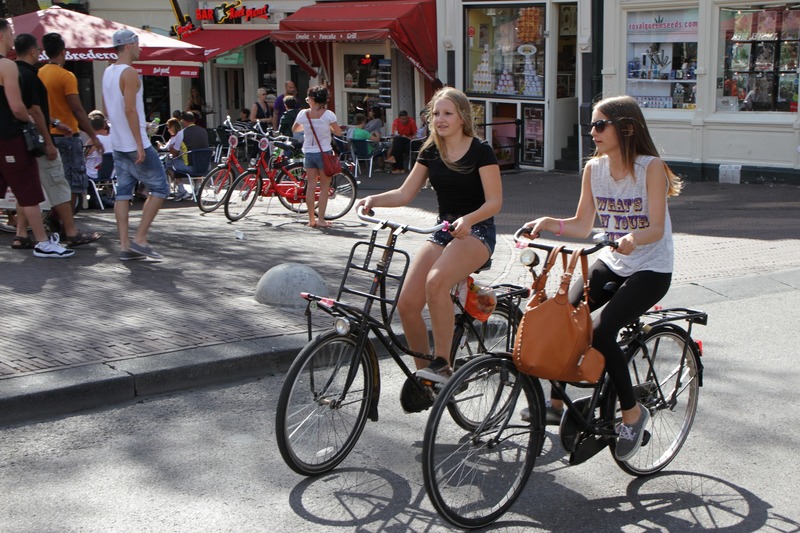 For hints and tips on cycling care and safety, visit www.macbike.nl where you will find everything you need to know about how to stay safe on your bike in Amsterdam, including a downloadable leaflet that you may wish to take with you as a handy guide on your travels.